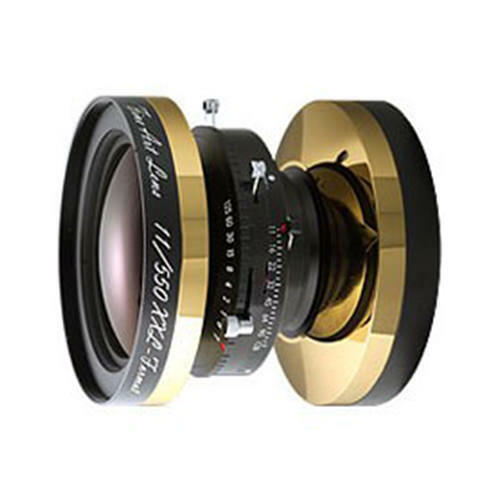 Lens Description: The Schneider 550mm f/11 Fine Art XXL Lens is a modern lens option for that most special breed of photographer, those using cameras larger than 8x10 format. Believe it or not, in today\'s digital age there are still about a dozen manufacturers specializing in made-by-hand enormous cameras ranging from 11x14 up to 20x24. With these enormous cameras, there has been a neglect in the market for a lens, and historically all those who would try to photograph with such a camera had to resort to using a lens that was at least 50 years old, from the prime of Ansel Adams\' career. No more.